As a part of TA ADB 7189 Awareness Raising and Communication activities, the sixth talkshow aimed at discussing the practical strategy to strengthen institutional aspects of managing water resources in the context of CRB. The resource persons of the talk in RASE FM (4 November 2013) were Ir. 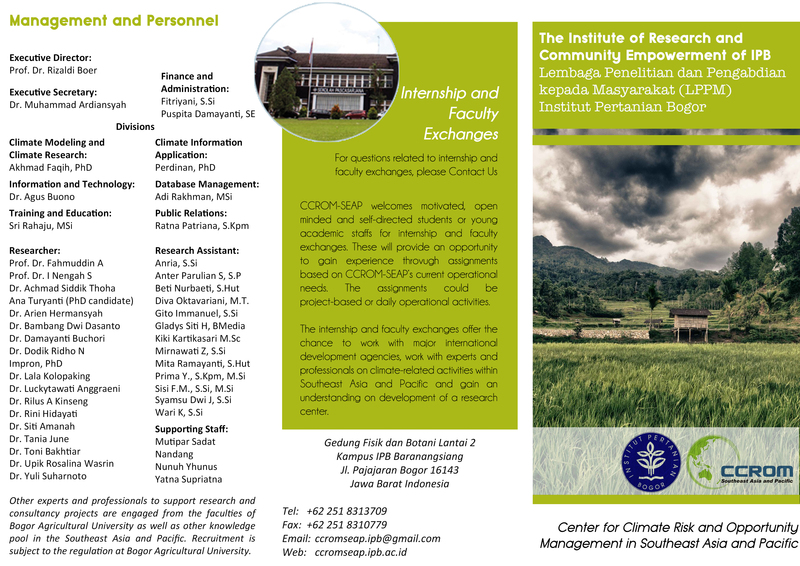 ArifWibowo, MSc (Ministry of Environment), Mr. TulusSibuea (West Java Agency for Environmental Management), Mr. Nana Nasuha (Dinas PSDA Jawa Barat), and Prof. Rizaldi Boer (CCROM SEAP IPB). 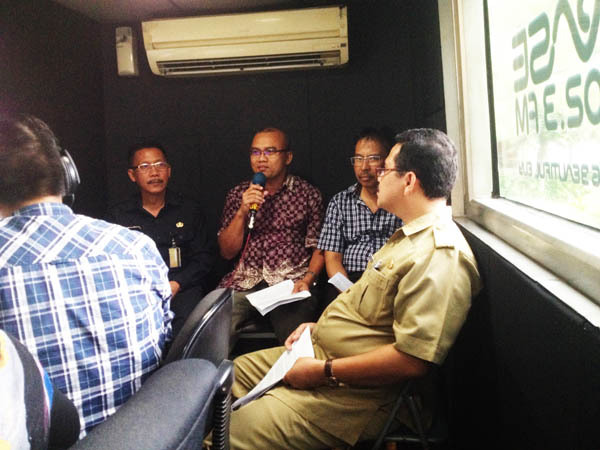 A representative from Meteorology and Geophysics Agency, Mr. DediSucahyono, and Mrs. DewiNurhayati (West Java Agency for Environmental Management) along with Mr. ArifWibowo (Ministry of Environment) were also attended in the last talk show in PR FM (23 December 2013). 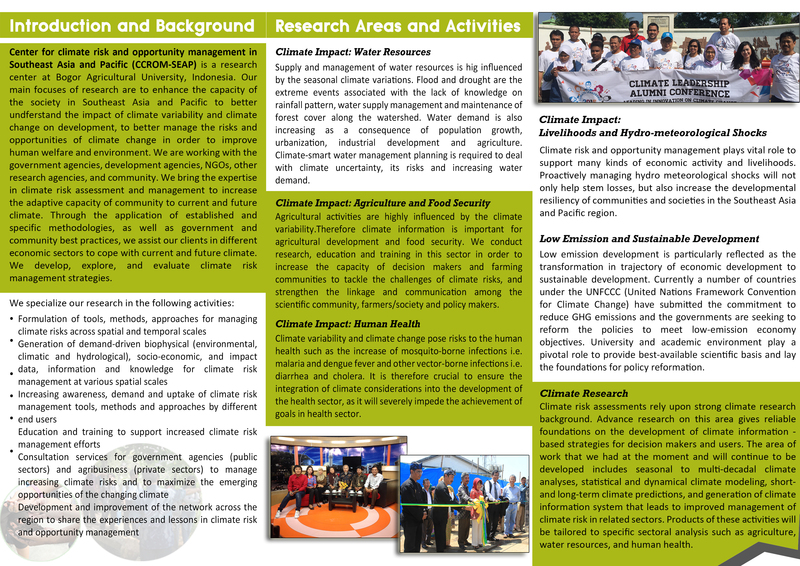 MrDedi shared the up to date information related climate issues in West Java. It has been understood from the last talk show managing the water resources needs a well-designed action strategy in climate adaptation and mitigation. Following, the better action plan, the government together with the community and private sectors need to implement and evaluate the actions, and maintain its sustainability. Yet, we have a number of regulations and programs of caring and preserving environment; we still need to develop further co-operative and synergy amongst the stakeholders involved to strengthen institution.